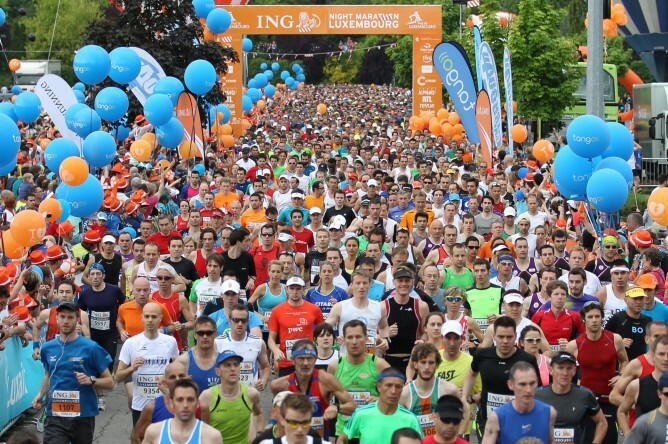 get energized, compete with friends or set yourself a new challenge - join the fun this July with our guide to all things about the marathon in Luxembourg city. 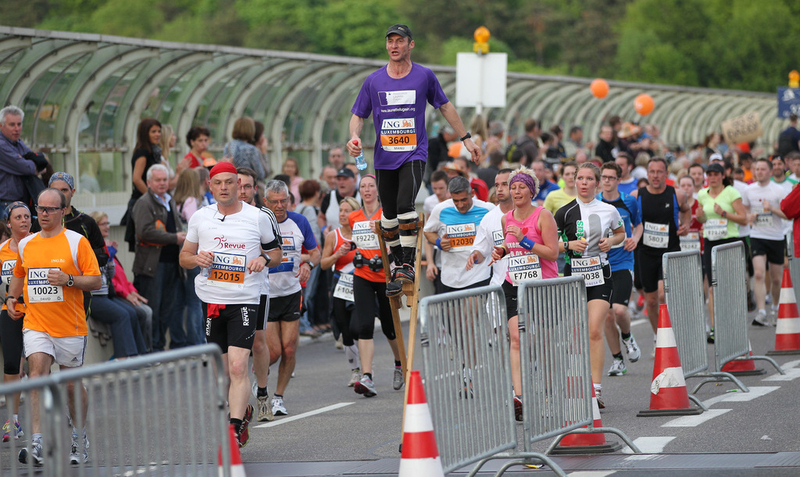 Each year the ING night marathon Luxembourg attracts large, expectant crowds that line the streets to see thousands of runners compete in this energetic spectacle. Along the race track numerous music groups are performing and for instance the Glacis crossing welcomes runner with hot south-american beats and samba. The race takes place in the early evening and continues past sunset and while the runners still arrive in full daylight in the historic old town, by the time they arrive at Knueddler the sun slowly sets. 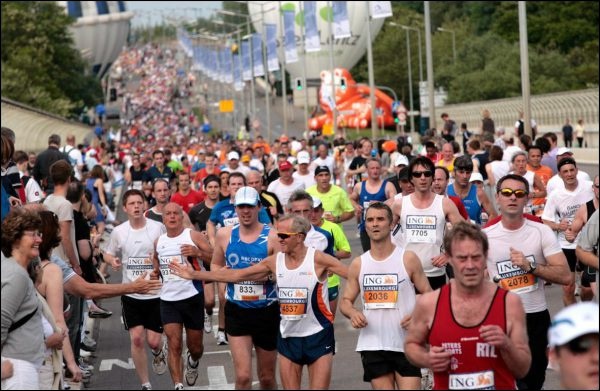 There are in fact several races that are taking place simultaneously: one is the full marathon at 42km and the other one, the semi-marathon at 21km. 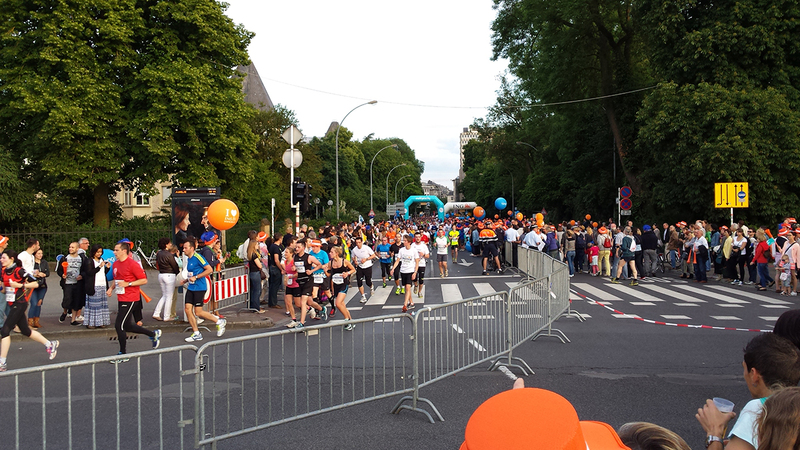 There is also a team run which is very popular. The inital part of the track is the same for all, starting at Kirchberg and the same is also true for the finish. However on the Knueddler the field is split into two groups who then run their respective race. 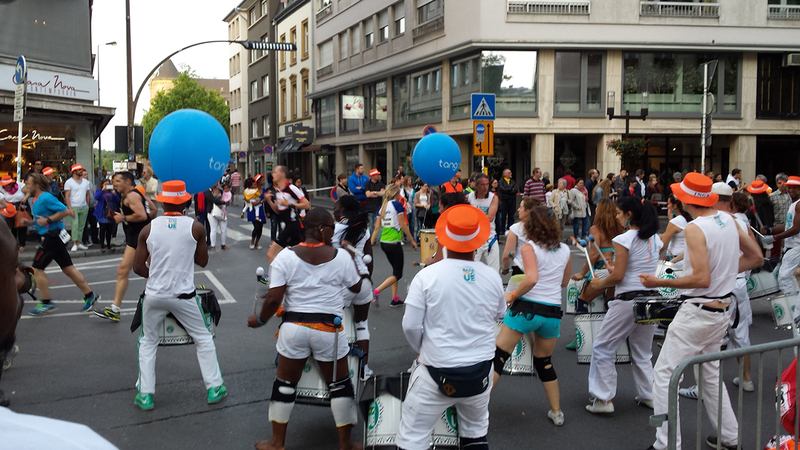 Numerous dance formations and groups such as Samba dancers or percussions groups give the event a sort of festival feeling. Of course the national media are present and many business have a promotional stand. Along many parts of the course there are food stands and places where you can quench your thirst while watching the exploits of the runners. 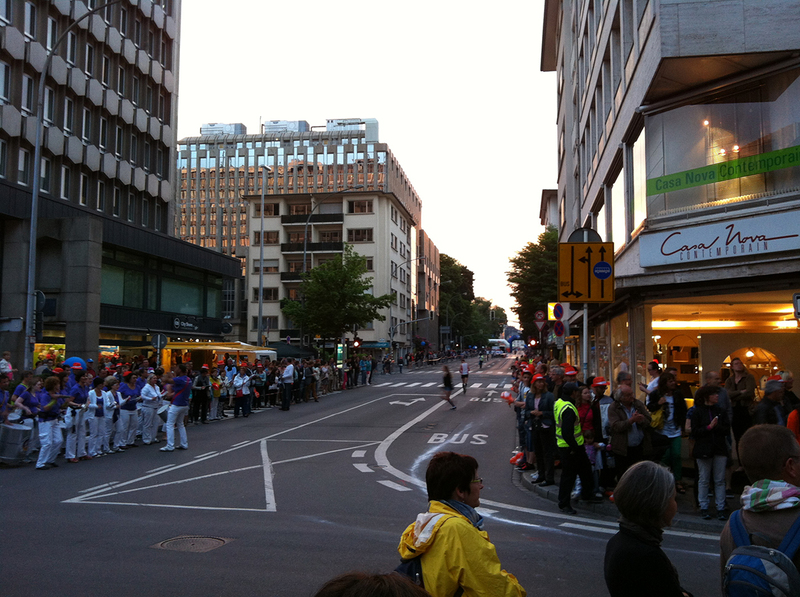 There are several hotspots where many people gather like for example the major traffic crossing of Glacis where the runners enter Kinnegswiss, or another very popular spot to follow the race is at the Knueddler. 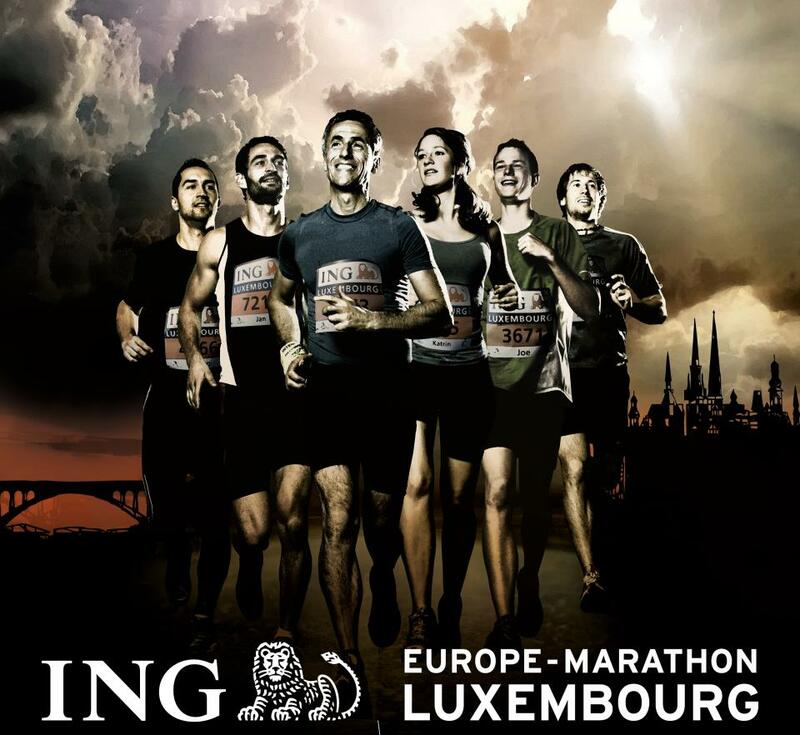 With the backdrop of the old historic town, the Night marathon manages to link up all the different parts of the city and connects the historic town centre with the modern and vivid banking and financial centre on top of the Kirchberg. There are frequent shuttle buses from PR Lux-Sud in case you arrived by car. We highly recommend public transport as the inner city is locked down. 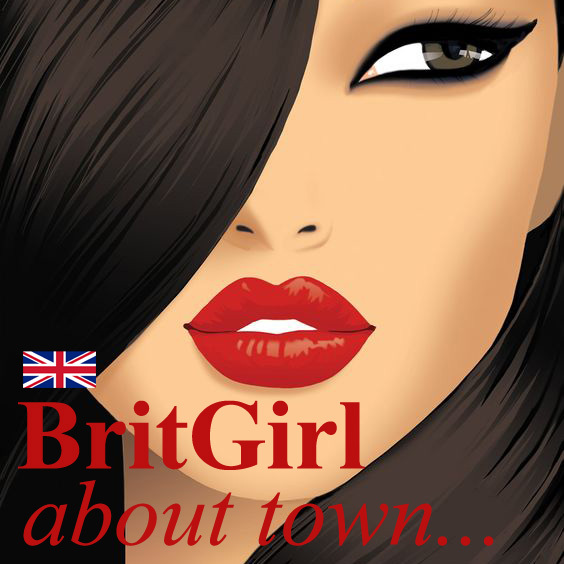 Make sure that you register early for this very popular event. Over the last few years it has always sold out although they have repeatedly increased the amount of runners to currently 10k.